Values Challenge Pack Request Form - fill in your details below and we will immediately email you the download link for your Values Challenge resources pack. 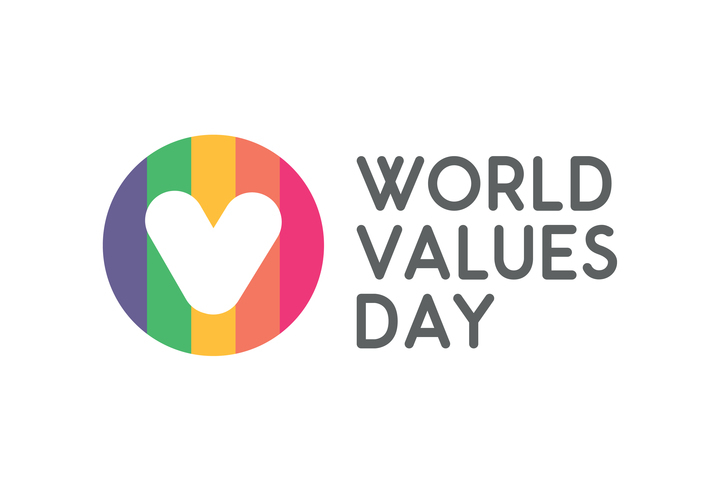 World Values Day will use the information you provide on this form to be in touch with you and to give advice of events and activities related to World Values Day, and other occasional communications from the World Values Day team. These tend to be infrequent at this time of the year but pick up pace as we approach the Day itself (which falls on 18th October this year). . Please let us know you are happy to receive these by ticking the email box below and clicking Subscribe to list. You can change your mind at any time by clicking the unsubscribe link in the footer of any email you receive from us, or by contacting us at info@worldvaluesday.com. We will treat your information with respect. For more information about our privacy practices please go to https://www.worldvaluesday.com/privacy-notice/. By clicking below, you agree that we may process your information in accordance with these terms.